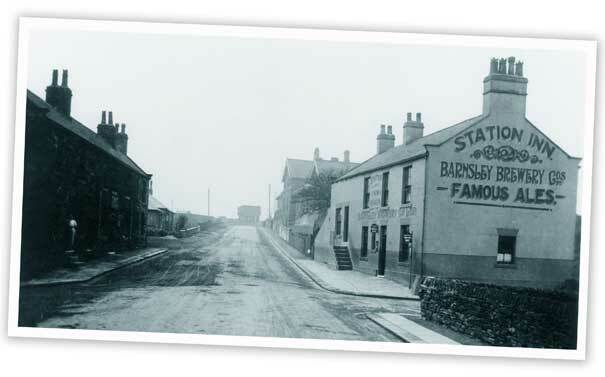 Home Memories of Barnsley is a quarterly magazine which looks back over Barnsley’s past, filled with history, photos and stories of old Barnsley. With information researched from the Barnsley Chronicle and other sources, it recounts the events that shaped the lives of our ancestors. You can subscribe to Memories of Barnsley by clicking the Subscribe link, and you can buy a full range of back issues from the Back Issues page. You can also have your own memories of Barnsley published on the magazine's Readers' Page, along with any photographs you send in. Click on the Contribute link if you'd like to submit photos or write an article for the magazine; your photos will even be shown in our online Gallery. 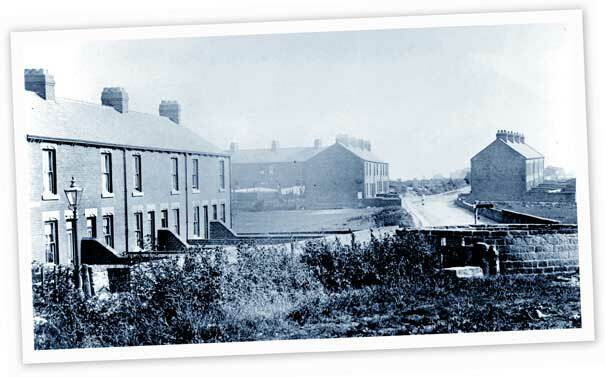 This view taken at Barugh Green cross-roads looking down towards Low Barugh shows the Spencers Arms public house. The shop on the left hand side is advertising Fry's chocolates in its window. Photograph courtesy of Chris and Pearl Sharp. 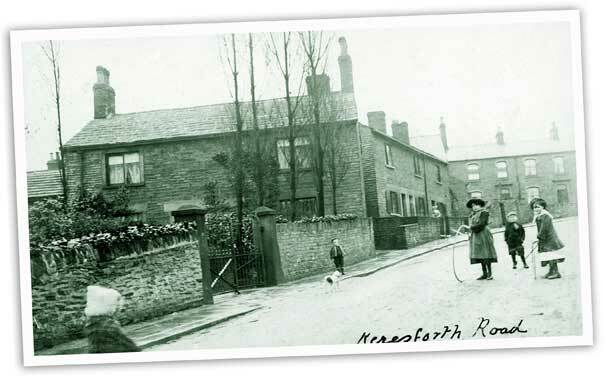 The charming group of cottages on the bend between Keresforth Road and the High Street in Dodworth. Photograph courtesy of Chris and Pearl Sharp. 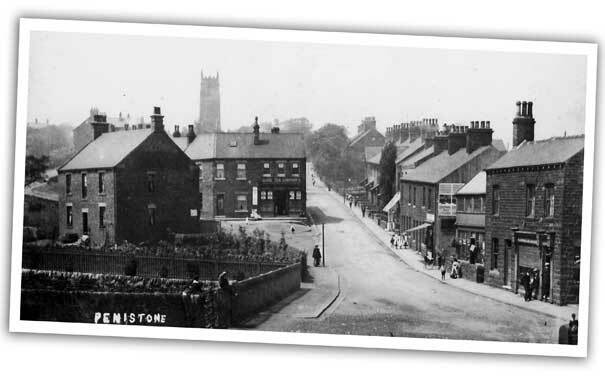 A view up Church Hill, Penistone showing the dignified tower of the church of St John the Baptist in the background. Completed in the Middle Ages, this striking landmark is by far the oldest building in Penistone. Photograph courtesy of Chris and Pearl Sharp. 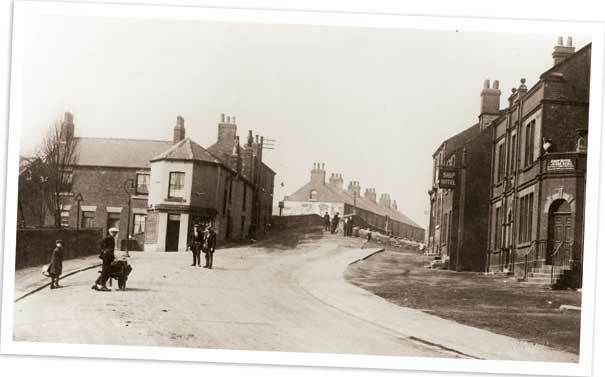 A view of the top of Spark Lane, Mapplewell, which was named after John Spark who in 1696 brought rod iron, used by nail makers, to the village from Rotherham and Wortley on pack mules. Photograph courtesy of Chris and Pearl Sharp. 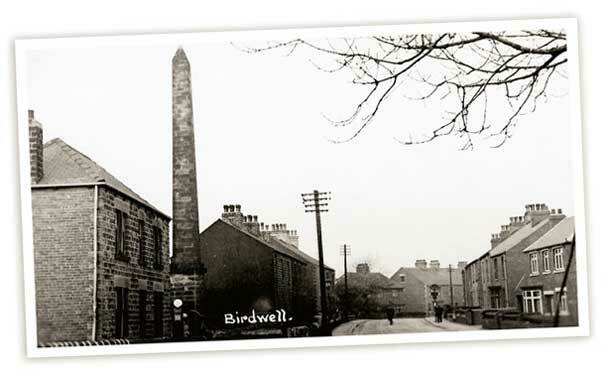 The obelisk at the southern end of Birdwell was constructed in 1775 to mark the three-mile distance to Wentworth Castle at Stainborough. The obelisk was struck by lightening on 6 June 1906 but remains in its place today. Photograph courtesy of Chris and Pearl Sharp. 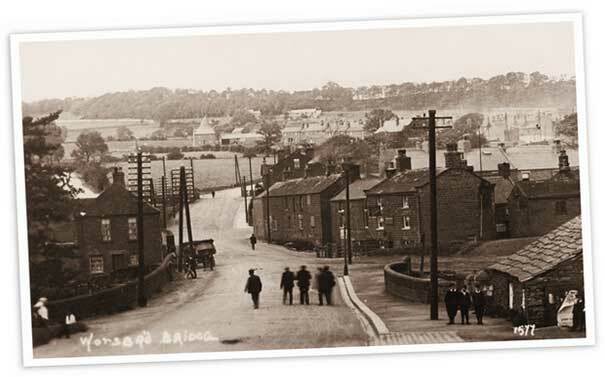 Looking up towards Worsbrough Bridge from what is now the Button Mill public house. Photograph courtesy of Chris and Pearl Sharp. 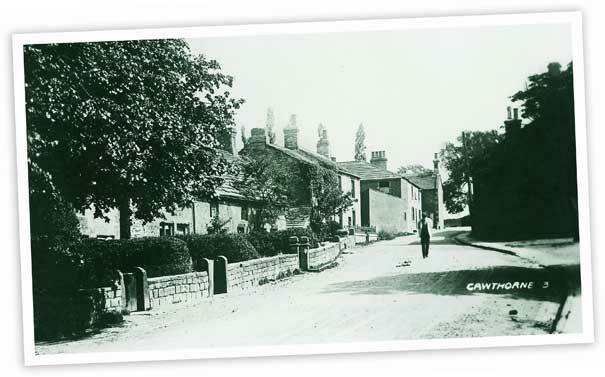 This view looking up Church Street, Cawthorne shows the Spencer Arms in the background. Photograph courtesy of Chris and Pearl Sharp. Midland Road, Royston, looking up from the railway bridge. Photograph courtesy of Chris and Pearl Sharp. At the mid-way point between Barnsley, Wakefield and Huddersfield sits High Hoyland, one of several local villages containing the name Hoyland meaning 'farm on a hill'. Photograph courtesy of Chris and Pearl Sharp. 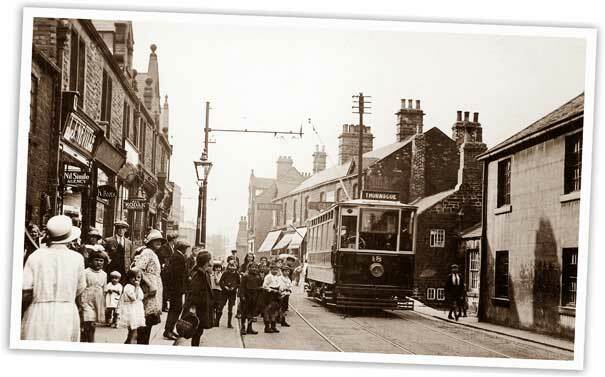 A Dearne Light Railway tram is pictured bound for Thurnscoe in High Street, Wombwell, probably in the late 1920s or early 30s. Photograph courtesy of Chris and Pearl Sharp. 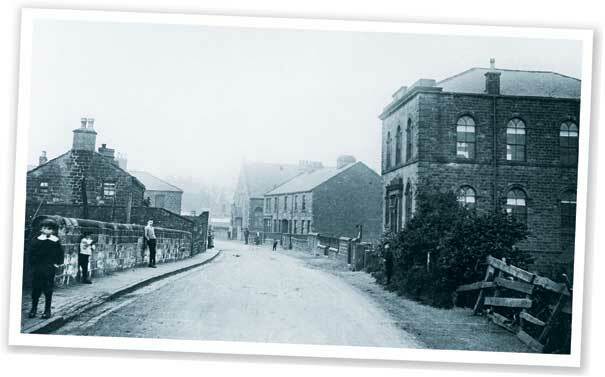 The row of houses in the fore of this shot of Darfield has now been demolished, but the one just visible behind it can still be seen today and houses the Maurice Dobson Heritage Centre. Photograph courtesy of Chris and Pearl Sharp. 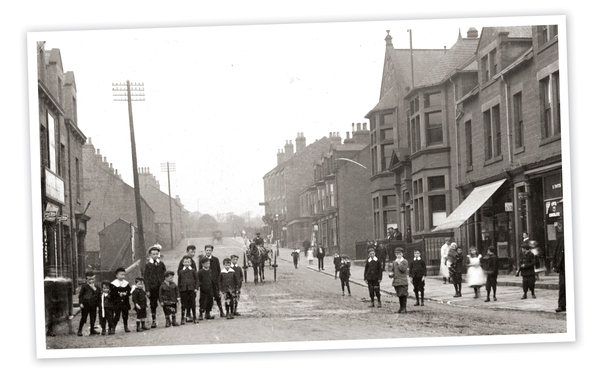 Barnsley Road c1900. 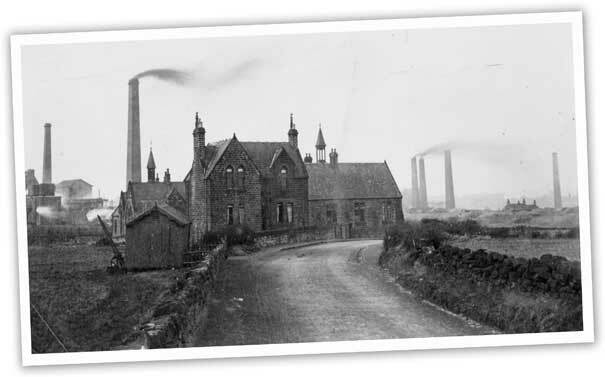 The Ardsley Working Men's Club is on the right of the photograph. 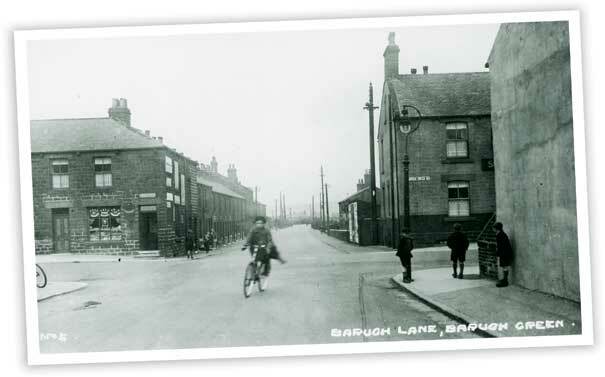 The houses on the left have all gone. The blacksmith's shop at the bottom of Ardsley House drive. 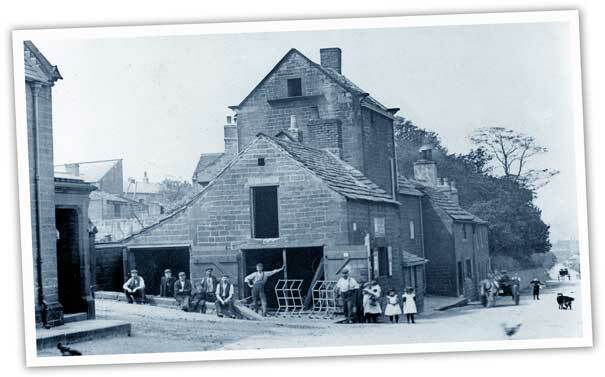 The smithy was originally a carpenter's shop with a wood yard at the back Photograph courtesy of Chris and Pearl Sharp. 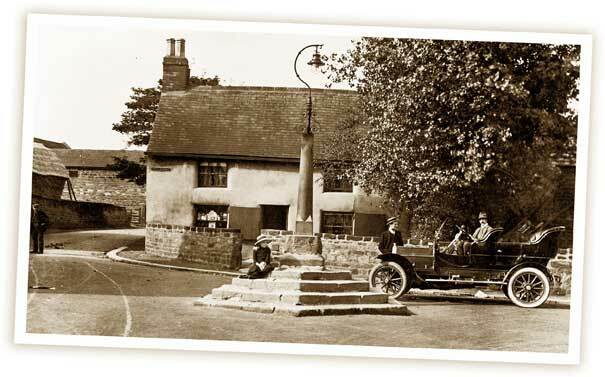 The Cross at Monk Bretton. Photograph courtesy of Chris and Pearl Sharp. 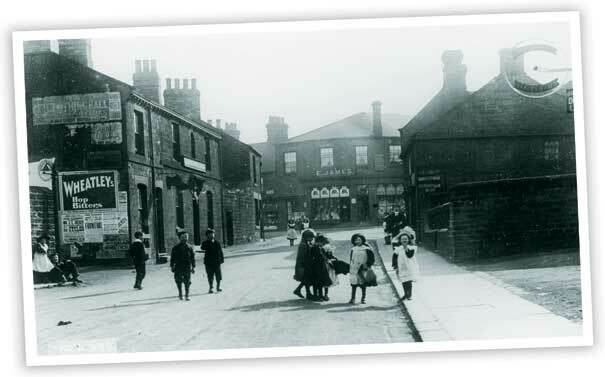 This photograph of what was then known as Barnsley Road shows Carlton Board School and School House. It was here that a makeshift mortuary was made after the tragedy at Wharncliffe Woodmoor colliery where the bodies of the 58 victims were taken. Photograph courtesy of Chris and Pearl Sharp. 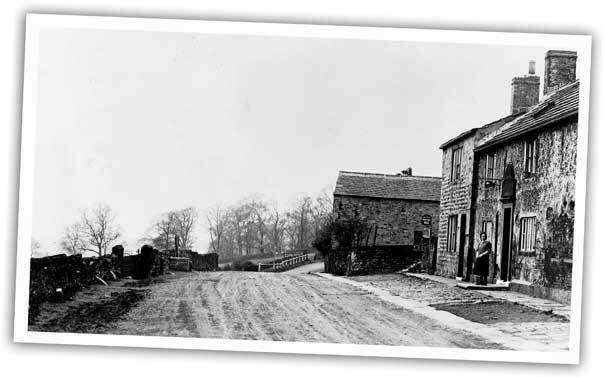 The Station Inn public house in Silkstone Common was formerly called the Junction Inn and was built by a Mr John Gaunt circa 1853, and actually preceded the village's railway station. Photograph courtesy of Chris and Pearl Sharp. The Darton crossroads, before the introduction of the M1, which altered the course of the main road. The Darton stretch of the motorway opened in 1968. Photograph courtesy of Chris and Pearl Sharp. 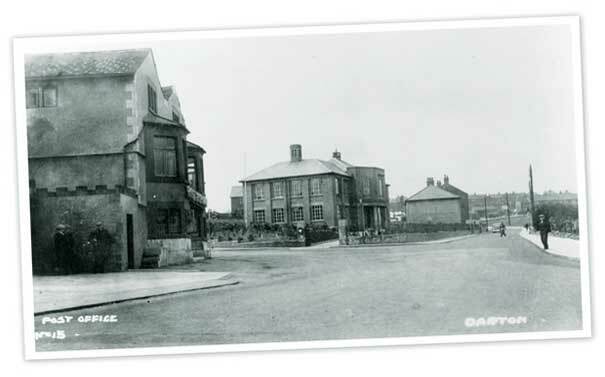 This view looking along High Street, Hoyland shows the old Post Office building. The increase in motor traffic means that the area is now subject to a one-way system. 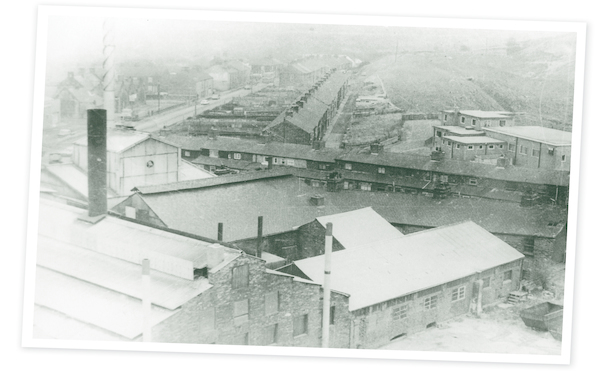 The older buildings on the left hand side of the photo have been replaced. Photograph courtesy of Chris and Pearl Sharp. 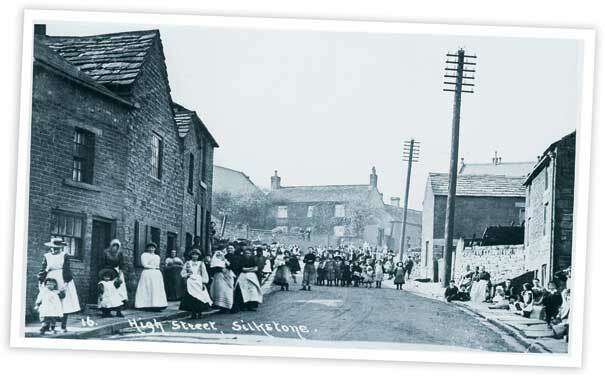 This view looking up the High Street in Silkstone shows a number of buildings which have changed relatively little over the years, apart from, of course, the groups of people who are gathered in the street posing for the photographers. Photograph courtesy of Chris and Pearl Sharp. 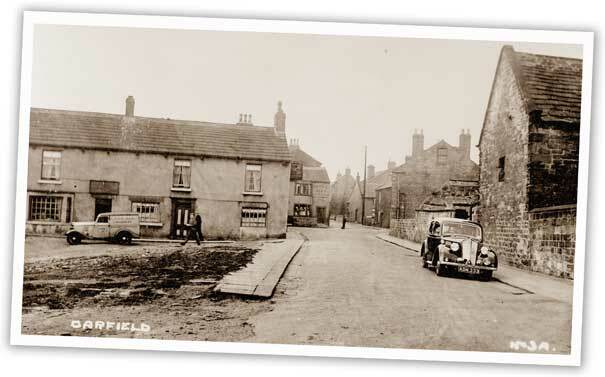 The Pinfold in Cudworth was located at the junction of Snydale Road, White Cross Road and Darfield Road. This circular stone construction was used to keep stray animals safe until they were claimed. 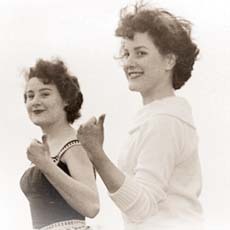 Photograph courtesy of Chris and Pearl Sharp.